Collection of utility functions that can be used throughout the photometry package. Project coordinates (ra,dec) with proper motions to new epoch. ra (float) – Right ascension. pm_ra (float) – Proper motion in RA (mas/year). pm_dec (float) – Proper motion in Declination (mas/year). bjd (float) – Julian date to calculate coordinates for. epoch (float, optional) – Epoch of ra and dec. Default=2000. RA and Declination at the specified date. Convert cartesian coordinates (x,y,z) to spherical coordinates in ra-dec form. radec (ndarray) – Array with ra-dec pairs. ra-dec coordinates in degrees corresponding to input coordinates. Search the input directory for CATALOG (sqlite) files matching constraints. rootdir (string) – Directory to search for CATALOG files. sector (integer, list or None, optional) – Only return files from the given sectors. If None, files from all TIC numbers are returned. camera (integer, list or None, optional) – Only return files from the given camera. If None, files from all cameras are returned. ccd (integer, list or None, optional) – Only return files from the given ccd. If None, files from all ccds are returned. List of paths to CATALOG files matching constraints. 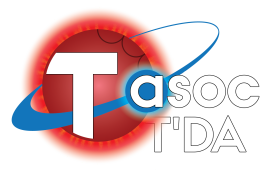 Search directory recursively for TESS FFI images in FITS format. rootdir (string) – Directory to search recursively for TESS FFI images. sector (integer or None, optional) – Only return files from the given sector. If None, files from all sectors are returned. camera (integer or None, optional) – Only return files from the given camera number (1-4). If None, files from all cameras are returned. ccd (integer or None, optional) – Only return files from the given CCD number (1-4). If None, files from all CCDs are returned. be sorted accoridng to the filename of the files, e.g. primarily by time. Search the input directory for HDF5 files matching constraints. rootdir (string) – Directory to search for HDF5 files. List of paths to HDF5 files matching constraints. Search array for value and return the index where the value is closest. array (ndarray) – Array to search. value – Value to search array for. Index of array closest to value. Search directory recursively for TESS Target Pixel Files. rootdir (string) – Directory to search recursively for TESS TPF files. starid (integer or None, optional) – Only return files from the given TIC number. If None, files from all TIC numbers are returned. be sorted accoriding to the filename of the files, e.g. primarily by time. Evaluate a 2D symmetrical Gaussian integrated in pixels. x (numpy array) – x coordinates at which to evaluate the PSF. y (numpy array) – y coordinates at which to evaluate the PSF. flux (float) – Integrated value. x_0 (float) – Centroid position. y_0 (float) – Centroid position. sigma (float, optional) – Standard deviation of Gaussian. Default=1. 2D Gaussian integrated pixel values at (x,y). Calibrations columns and rows are trimmed from the image. path (str) – Path to FITS file. return_header (boolean, optional) – Return FITS headers as well. Default is False. Full Frame Image. list: If return_header is enabled, will return a dict of the FITS headers. Convert from magnitude to flux using scaling relation from aperture photometry. This is an estimate. The scaling is based on fast-track TESS data from sectors 1 and 2.
mag (float) – Magnitude in TESS band. Convert spherical coordinates as (ra, dec) pairs to cartesian coordinates (x,y,z). radec (ndarray) – Array with ra-dec pairs in degrees. (x,y,z) coordinates corresponding to input coordinates. Compute robust RMS on specified timescale. Using MAD scaled to RMS. time (ndarray) – Timestamps in days. flux (ndarray) – Flux to calculate RMS for. timescale (float, optional) – Timescale to bin timeseries before calculating RMS. Default=1 hour. Robust RMS on specified timescale. Calculate the great circle distance between two points using the Vincenty formulae. ra1 (float or ndarray) – Longitude of first point in degrees. dec1 (float or ndarray) – Lattitude of first point in degrees. ra2 (float or ndarray) – Longitude of second point in degrees. dec2 (float or ndarray) – Lattitude of second point in degrees. Distance between points in degrees.